Satellite TV is different in different parts of the world. The way they do satellite TV in Europe probably won’t affect you if you’re in North America, but for a few lucky people whose yachts are large enough to go across the ocean, that’s an important thing to realize. In the US, satellite TV is provided by DIRECTV and DISH, each having their own very unique systems. You can’t use any DIRECTV equipment with DISH, or vice versa. That’s a little annoying for people who want to change services every couple of years to keep the promotional pricing going. For the rest of us, though, it’s not a big deal. What they provide is what they provide. In Europe, there’s a quite different problem. Broadcasting throughout Europe is regulated by many different countries, and some of those countries (like Great Britain) actually do most of the broadcasting themselves. You pay for it as part of your taxes. Countries are so small that it’s often possible to get broadcasts from other countries with nothing more than a TV antenna, and believe it or not it’s the same with satellite. Satellite TV systems throughout Europe are controlled by a mix of governments and companies. In some areas, a basic satellite TV package is free (or more accurately, paid for by taxes.) All you need to do is put up a dish. Having broadcasting on satellite is actually easier for governments to manage than putting up multiple broadcast locations. Believe it or not, all broadcasting in Europe, whether land-based or satellite-based, conforms to the same standard. That doesn’t mean you can use an antenna to get satellite signals but it does mean the technology is similar enough, all across Europe, that the costs stay low. 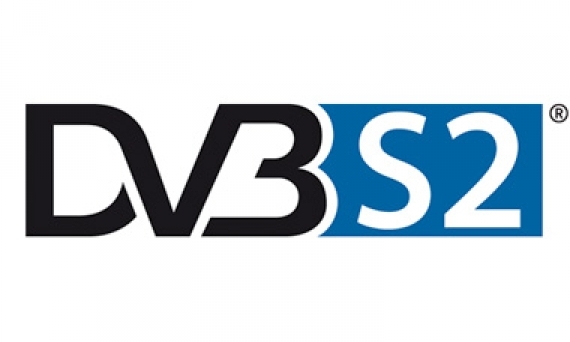 That technology is called DVB, and when it’s applied to satellite it’s called DVB-S or DVB-S2. DVB-S was designed for standard definition and DVB-S2 was put in place for HD broadcasts. A lot of broadcasters still use both technologies just like satellite services in the US still use SD while moving people to HD and 4K. If you have a DVB-S2 receiver in Europe, you can get pretty much any free satellite broadcast, and the paid services also use this technology but pair it with conditional access technologies like smart cards to make sure that you’re only getting what you pay for. DVB-S and DVB-S2 equipment is largely useless in the Western Hemisphere and Solid Signal doesn’t sell it because it’s not FCC approved. FCC approval is required for any piece of electronic equipment that could conceivably be used in the US, and makers of DVB-S boxes don’t want to bother paying to get that approval. Can you have satellite TV on a tugboat?